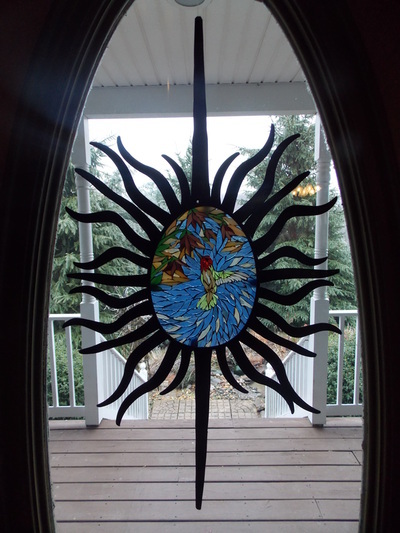 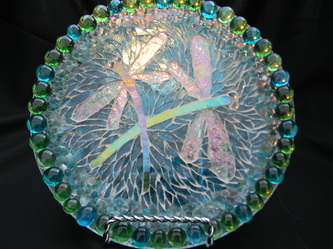 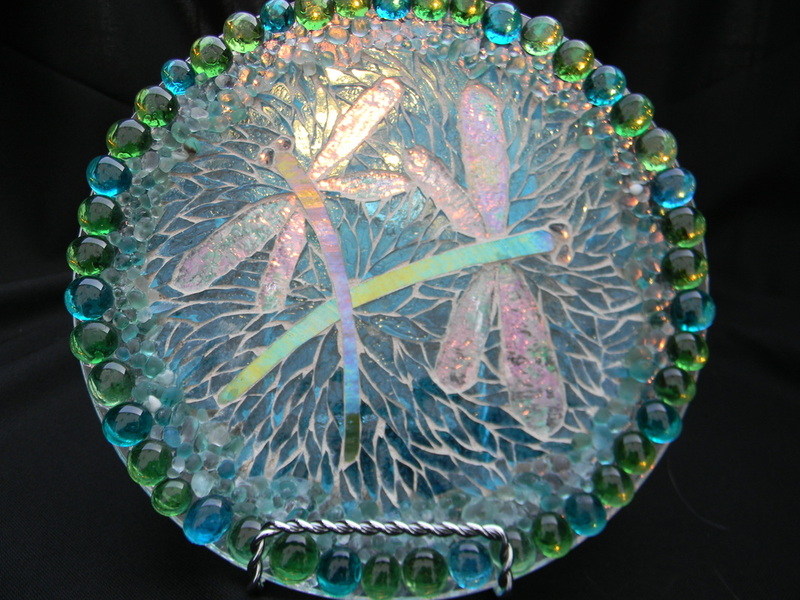 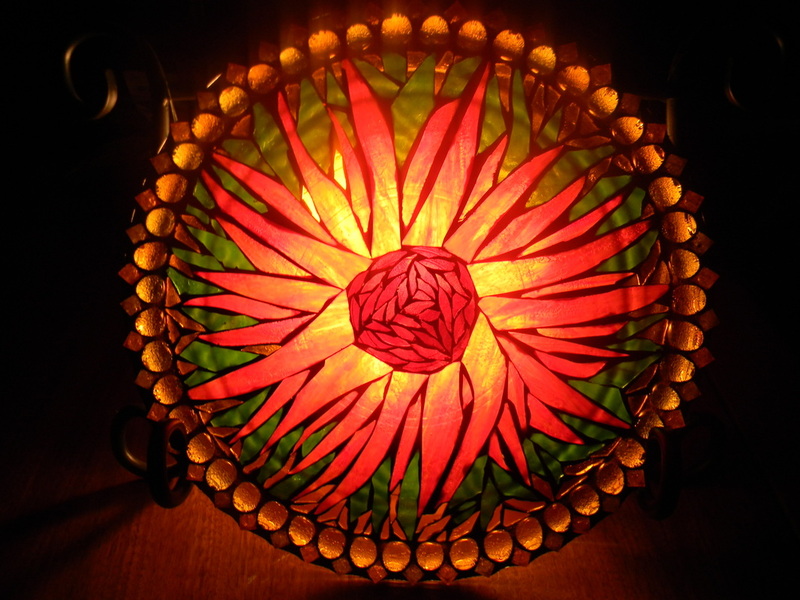 Mosaic art created on a base of clear glass so that the light shines through them. 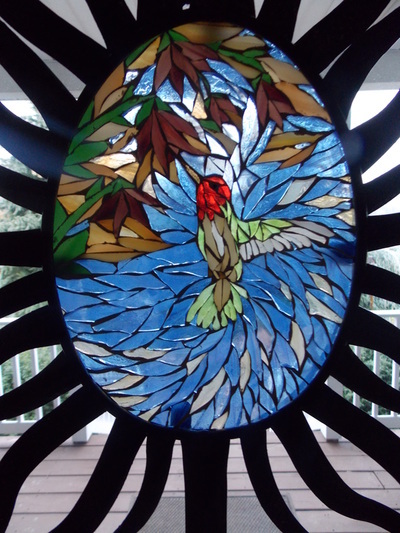 Place these mosaics in front of a window or place a light behind them to illuminate the full beauty of the stained glass. Hummingbird with metal sunshine frame. 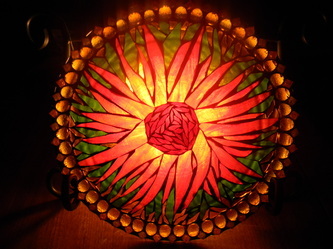 Perfect for hanging in a sunny window.